Occasionally I suggest a blog topic because it sounds interesting while only having a vague notion of what I might find when I dug a little deeper. This is one of those times. Animal brains are extraordinary, and even less sophisticated brains exhibit fascinating behaviors. So join me on a virtual search through the halls of life science to see if there is a truly brainless animal. 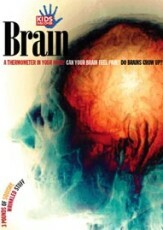 Neuroscience is a heady topic to wade into in the space of a blog article. Still, most of us have a pretty good picture of the vertebrate version of a brain. As soon as you jump into the world of invertebrates, the whole idea of a brain starts to get a bit fuzzier. However, most have some kind of concentration of nerve cells at one end of a nerve chord—often referred to as ganglion (plural: ganglia). 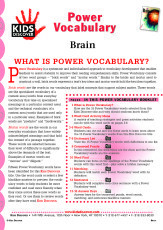 Typically not as centralized as vertebrate brains, most of us would still consider these brains in lay terms. Is it a Brain, or Isn’t It? There are plenty of invertebrates, however, whose nervous systems don’t resemble ours at all. A jellyfish, for example, doesn’t possess a centralized nerve center. Instead, its interconnected nerve cells (nerve net) form a ring around its mantle. For many years, scientists felt that jellyfish were more or less subject to currents and tides—mindlessly floating in the ocean, waiting for food to swim their way. Recently however, researchers have learned that jellies are far more purposeful and sophisticated. Moon jellies avoid being swept out by an outgoing tide by diving to deeper waters. If they bump into friendly jellies, a simple “excuse me” will do (okay, not really), but the same encounter with a predatory jelly will send them swimming to avoid being lunch. Some box jellies even have eyes—24 in fact—and two of them can actually form images. Clearly, there is a lot more on a jelly’s “mind” than we thought. 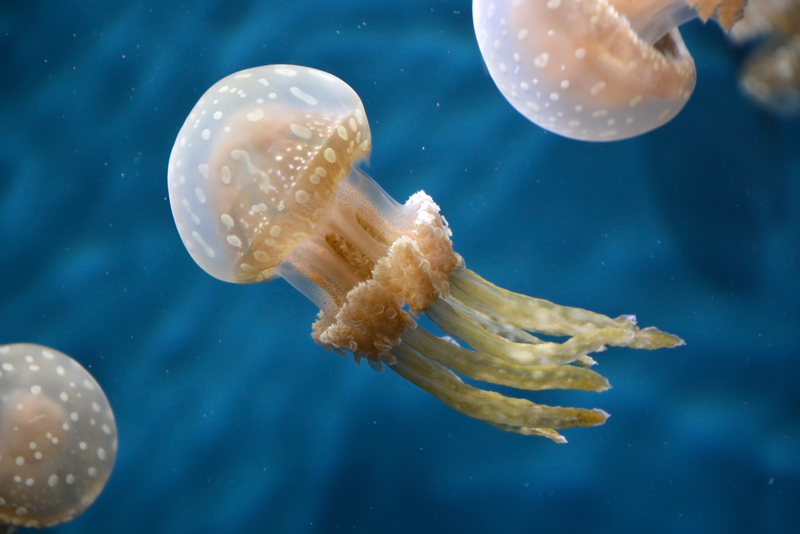 A few scientists have even argued that jellies have brains and that they are capable of remembering past experiences. If we are looking for a brainless animal, we’ll have to continue on our way. Another animal in our strange brain (actually, just plain strange) category are the sea squirts. 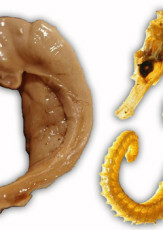 Sea squirts are actually chordates, which means they are more closely related to other vertebrates (including us, than the other creatures featured in this article. How can that be? Well, sea squirts begin their lives as free-swimming larvae that superficially resemble tadpoles. The have a notochord—essentially a primitive spine. 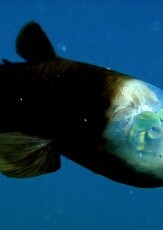 They also have a nerve cord with a hollow, enlarged area at one end—a brain of sorts—and a primitive eye. However, when the time comes to settle down, usually after a day or two of free swimming, sea squirts attach themselves, head first, onto a hard surface. Their bodies undergo a fundamental transformation, which includes losing their tails and notochords, developing digestive, reproductive, and circulatory organs, and losing the enlarged nerve structure. When this metamorphosis is complete, only the small portion of the original nerve structure needed to control its simple remaining organs remains. Still, even the adult form of the sea squirt is not without some kind of nerve function. We must continue our search for the truly brainless animal. Yes, the title gives it away. There is one animal so primitive that it does not have a nervous system of any kind. It has no organs. It “eats” and “breathes” by filtering the water passing through its body. At first glance, it appears completely passive. And yet, sponges are capable of regulating water flow in and out of their bodies. Though they lack organs, they do have specialized cells that perform specific functions. A few are even carnivorous! Somehow, even without nerve cells, these animals are able to respond to stimuli and manage organized behavior. Scientists are still working to understand how this is possible, but they think it has to do with calcium signaling from one cell to another. So, while we can definitively say that a sponge has no brain, clearly they have developed a primitive method of cell communication that allows them to survive and thrive. I’m sure you’ve noticed that all our subject creatures are ocean dwellers. While I certainly encourage you and your students to check out the resources below about our three “brainless” stars, it’s also fun to interact with a living animal in the classroom. Enter the humble earthworm. An earthworm does have two ganglia in its head, which are larger than the ganglia that run along the sides of its body connected by nerve chords. On many anatomy charts, this is referred to as the worm’s brain. Though the “head” ganglia are in charge, they don’t exert complete central control—the ganglion in each segment receives and processes sensory information in conjunction with, but also independent of the “head” ganglia. This is quite different from the way our brains function.